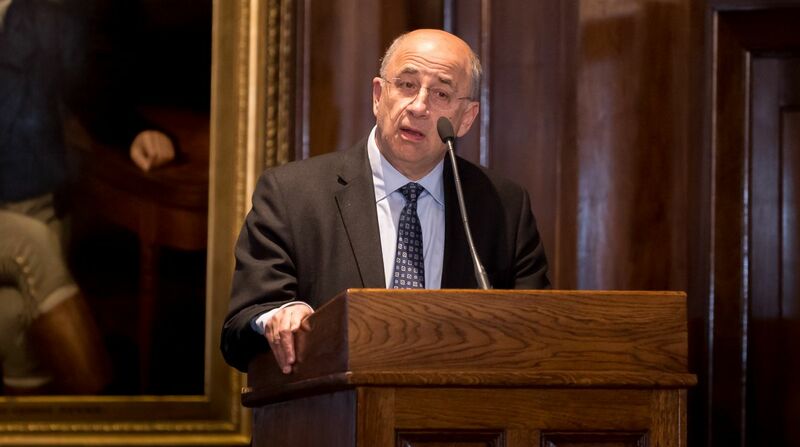 Sir Brian Leveson, the judge who chaired the 2011-12 examination of journalism and society, speaks at the launch of Kingston University's online archive of the public inquiry Discover Leveson in Westminster. The website is a user-friendly, state-of-the-art resource giving free access to the public testimony and submissions at the inquiry, which was established in the wake of the phone hacking scandal. It includes Sir Brian's final report along with video and written evidence from prime ministers, police chiefs, newspaper proprietors and editors as well as victims of press abuse. Sir Brian, now President of the Queen's Bench Division of the judiciary, recalled in his speech how one of the watchwords for the inquiry had been transparency – and explained how this led to him deciding that the proceedings should be live streamed. "I thought it would be counter-intuitive to ask those who complained of press abuse in the form of invasion of privacy to speak about their complaint publicly in a way everybody could see," he said. "However, I was persuaded by an alternative argument – if we didn't stream it, how would everybody find out what had been happening? "Every single victim of press abuse was a volunteer. It was explained what would have to happen and each one of them voluntarily came forward, provided statements and gave evidence. I'm pleased to pay tribute to that courage." Speaking of the pleasure he took in hearing that students now used the inquiry's evidence to learn how journalism was practised in the late 20th and early 21st Century, he emphasised the role of the new online archive in helping achieve the inquiry's goal of transparency. "This archive keeps the question of who guards the guardians alive and that can only be in the public interest," he said. "I thank Kingston University for allowing the inquiry and its report to continue to live on in the public consciousness." Kingston University Professor of Journalism Brian Cathcart, who played a leading role in the creation of the new archive, echoed the important function the archive would play as he led a discussion on the future of the media industry with journalist Liz Gerard, who writes for the New European, BBC presenter Nomia Iqbal and Hardeep Matharu of Byline Times, before taking questions from the floor. The impact of social media, whether giving certain individuals airtime allowed their views to be questioned or simply provided a platform to lie, the need for innovation in a changing world and the challenges of reporting facts in a society where fake news and opinion dominated were among the topics debated. Professor Cathcart said the cutting-edge archive would be an invaluable tool for students as well as the general public in understanding how journalism operated in Britain today. 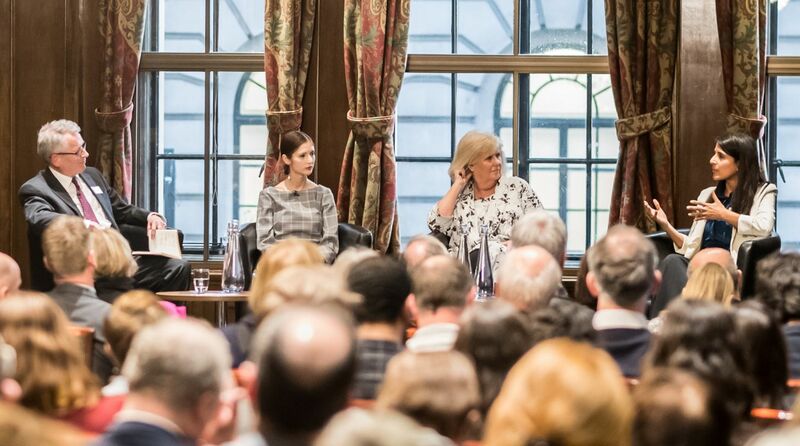 "There is no better resource for understanding how journalists and newspaper editors think and function – the archive contains a wealth of information about how the media works that simply cannot be found anywhere else," he said. "Sir Brian said that, essentially, the Discover Leveson project fitted with his view of what the inquiry should be – fulfilling that ambition to be as transparent as possible by making all the materials available in an accessible and useable format that breathes new life into the inquiry for the next generation." The Discover Leveson project has been led by Kingston University's Journalism Department, working with the SDS Group and with support from the David and Elaine Potter Foundation and the Alexander Mosley Charitable Trust. Featuring video testimonies and transcripts from the inquiry's 198 public sessions, the website also contains witness statements and submissions as well as the Leveson Report itself, alongside short essay guides introducing the inquiry's key themes, complemented by state-of-the-art search technology. The project was developed with backing from 13 other universities across the United Kingdom. The launch event was part of a series of 'In Conversation With' sessions organised by the University, covering topics ranging from increasing social mobility in higher education to entrepreneurship and how to address the gender imbalance in the science and engineering sector. Find out more about the Discover Leveson project. Find out more about Kingston University's undergraduate and postgraduate journalism courses. Professor Brian Cathcart with, from left, journalists Hardeep Matharu, Liz Gerard and Nomia Iqbal at the Discover Leveson launch in Westminster.